New Zealand’s Home Birth Awareness Week begins, quite suitably, on Labour Day each year. During this week, families and communities around the nation celebrate the choice that all women have to birth at home in New Zealand. For Home Birth Aotearoa, the national collective of New Zealand’s home birth support groups, it brings a chance to highlight the positive effects of home birth and home birth support groups on our communities. Contrary to the widely accepted notion that all birth is risky and traumatic, Home Birth Aotearoa’s stance is that the perceived risk, promoted through a diminished birth culture, does not accurately reflect the lived reality of the majority of women in Aotearoa – healthy, well women, carrying healthy, well babies, who can be born at home. In New Zealand we are fortunate that we can choose to birth where we feel the most comfortable and safe, where our hearts tell us our babies should be born. The research may support what our hearts tell us but we don’t need that when we feel empowered to believe in our own knowing, when we know that we have our midwives behind us always supporting us in our power to be mothers. As women we honour our midwives not as proscribed modern-day health professionals but as our time-honoured partners who journey with us, sharing important secrets of life and death and a belief in our power and courage as birthing women. When we are free to choose our place of birth and free to choose only the people we are truly connected to, to participate in our unique birthing experience, we are expressing our humanity and a way of being as authentic and safe as life gets. 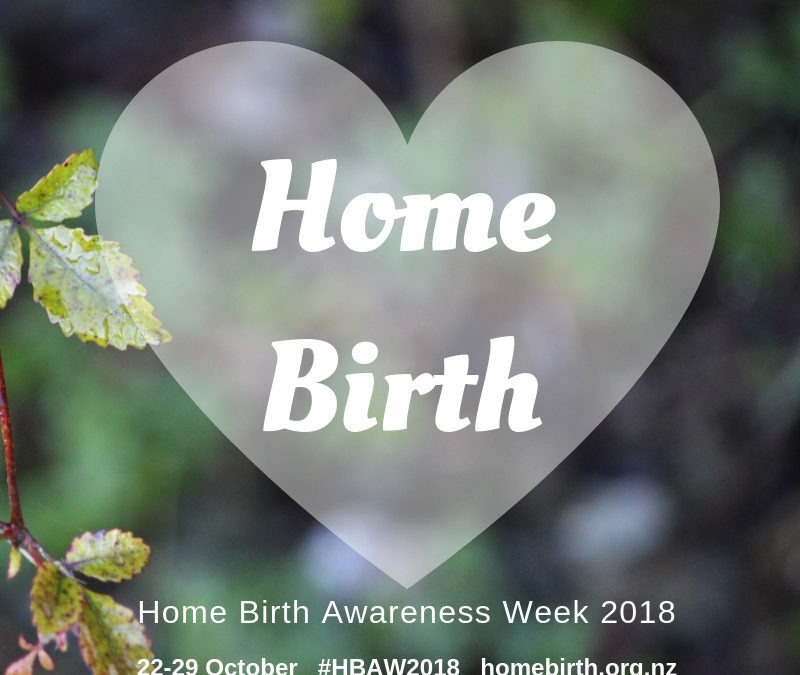 Regional Home Birth Support Groups throughout Aotearoa are celebrating Home Birth Awareness Week with events including documentary screenings, family picnics and coffee morning gatherings. Home Birth Aotearoa believe that every person who supports home birth within their community is creating positive change to our birth culture here in New Zealand. Whatever you are doing this week to share the home birth love – enjoy and remember that for many the journey to home birth begins with a conversation, so simply telling your story may be the catalyst for someone to explore the home birth option.